The highly anticipated Pharmaceutical Microbiology East Coast Confex is returning to Boston for another successful year. SMi Group is delighted to welcome a new sponsor Novatek who will also be exhibiting at this year’s conference. This 2-day agenda will feature a series of presentations from industry experts who will be discussing key topics in the pharmaceutical microbiology industry such as risk management and preparing risk-based programs. Attendees will have the opportunity to learn about key trends and answer questions around environmental monitoring and critical utility. Highlights include exploring the latest in regulatory changes and evaluating strategies to ensure compliance, disinfectant validation and methods, endotoxin detection methods and microbiological methods. The conference will gather senior industry experts to delve deeper into the core issues surrounding regulation for contamination control, delving into environmental monitoring, in depth rapid microbial methods and endotoxin control, sterility assurance and the risk mitigation for mycoplasma and animal sera, plus much more. The chair for this conference is James Drinkwater, Chairman, PHSS, Head of Aseptic, Processing Technologies & GMP Compliance at Franz Ziel GmbH. There are also two focused post-conference workshops that will take place on Friday April 12th, 2019. 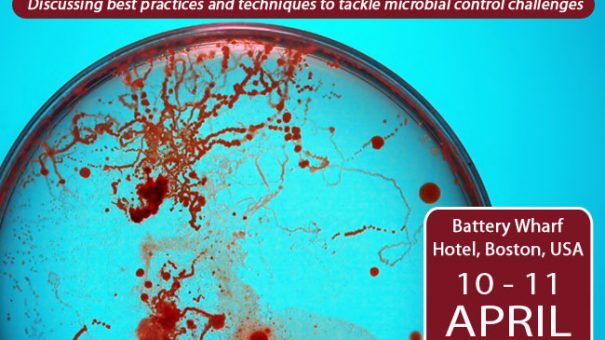 Delegates can download the updated brochure and also register for the conference at: http://www.microbiologyeastcoast.com/pr5, there are limited places. “This microbiology portfolio has grown from strength to strength over the last year and in particular the attraction for the East Coast event has been phenomenal, we have ten key industry leading sponsors, who will be exhibiting their products/series at the Boston Microbiology conference and over 20 top leaders in microbiology speaking at the two-day conference. We would welcome you to join the conference and see for yourself, at what is the best ever produced event in our microbiology series. We continue with our enhancement of the microbiology portfolio with our new inaugural addition Pharmaceutical Cleanroom Technology Conference which will launch in October in London, more details will follow soon”.